Bose has recently updated the venerable 901 Series VI with the version 2. I only know that the speaker has new drivers and the electronics package has been updated. Beyond that, I don't know much about it. Several blogs are circulating information about improvements with the speaker, but technical information is lacking at this point. Does anyone have any specific information on the 901 Series VI v2? Hi Tom. I've gotten an inkling that the new drivers have whizzer cones but that's all I know about it and I'm not even sure that's correct. My experience is that to make this system competitive with contemporary designs, a major rethinking and redesign would be required, so radical in fact that it should have another model number. The way in which sound from a loudspeaker interacts with a room, the mathematical modeling, and the engineering provisions to deal with the variables to achieve acceptable results have not been demonstrated by anyone (to my way of thinking) and certainly not by Bose. Because this speaker is so dependent on room acoustics for its performance this would be a critical element that needs to be satisfactorily addressed in order to offer a product that would be taken seriously in this market. Bose has not demonstrated any interest in this direction since Series III cheapened the design to increase profits at the expense of performance. In talking with Bose salesmen, 901 has been considered a legacy product that is only available from many Bose stores by special order. It represents only a tiny fraction of overall Bose sales. Is that going to change? We'll just have to wait and see but my hunch is that it won't. I called Bose tech support today (1/4/2012) and asked the tech support person if I should "upgrade" from my BOSE VI to the 901 VI MKII. He told me that the MKII is NOT an upgrade and that the equalizer was changed to conform to European power regulation requirements. I also contacted Bose regarding the Series VI, version 2. Apparently there are only production-design changes, resulting in no specification or sonic differences. The driver basket materials were changed and other small changes along with a slight equalization change to match those design differences. I did find out something else: Bose can and will repair the older 901 equalization units down to the 901 Series II (apparently not the First series due to a parts issue). There is a set fee of $60.00 plus shipping and any taxes, but Bose offers their commercial UPS shipping rate—significantly below standard rates. 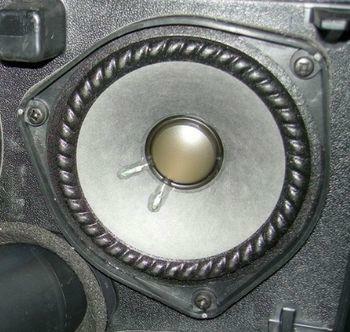 However, Bose cannot repair the older speakers. Owners should contact Bose at their Customer Service number, 877-210-3782, for specifics. Have the serial number handy if possible. Bose also continues to offer a trade-in for the older speakers with their equalizer units towards a new pair of 901 Series VI, V2. The old speakers/EQ unit must to be shipped back (at owner's expense) to Bose Corporation, but Bose will supply special UPS return labels at a reduced shipping cost. The new 901 Series VI, V2 system and EQ will be shipped out at a cost of $599 plus tax. Considering that the new system costs $1400 new, this is a nice offer by Bose. Regardless of what anyone thinks of Bose products from an audiophile standpoint--one way or the other--they are a remarkable company in terms of quality assurance and customer service. If you think of Bose as simply a consumer products company--that just happens to make some products that overlap somewhat with the audio hobbyist market--then their whole approach and reason-for-being starts to make a lot more sense. Bose does not target the audio hobbyist (maybe they did in 1968 or 1978, but not in the last 20 years), so to compare them and criticize them for not being B&W or Aerial or PSB is illogical. Their products generally work quite well, sound reasonably good, and bring decent sound and a very satisfying customer experience to a very wide range of people who probably would never experience anything other than standard-issue, Wal-Mart-level, built-in audio otherwise. My original Bose 901 had a manufacturing defect. The ground lugs on the equalizer were never connected, the connection was made by a press fit to the metal case. I thought I had a string of bad cables as I would get a 60 hz hum every now and then. Jiggling the plugs would fix it until the next time. Then one day I took the equalizer apart and was astonished at this oversight. The putty that seals the drivers to the wood case eventually failed. Unlike AR2a where it turned to something with the tenacity of glue this putty hardened and cracked. To Bose's credit they offered me a trade in at half price for a series VI. I declined and repaired the seals myself but I considered that after 35 years that was an incredible offer. Bose had some very innovative ideas and wrote a white paper explaining the design concepts in 901 and how he arrived at them. As a professor at MIT he had to be given some credibility and some of what he said made sense. Some didn't. I think about 1973 Bose made a decision to follow a business model that targeted a much larger potential market than had he continued to target high end audiophiles. He also stubbornly stuck to a design concept in his flagship product that is in some serious regards conceptually flawed but the flaws could have been fixed. The problem is that the price he charges for that product is comparable to much more accurate speakers that are far more attractive to audiophiles. Bose's other high end products are expensive by competitive standards but it must be admitted that for their type they are usually good performers when price is not taken into consideration. Their noise cancelling headphones are excellent and were I still flying on business I'd get a pair of his best model. Found this pic on the AVS forums. It's supposedly the latest 901 driver.